Dr. Fulop-Goodling’s philosophy is making each patient feel welcomed and comfortable while straightening and whitening their teeth. Patients can sit next to their friends or spouses and have their treatments done simultaneously, or they can have complete privacy in separate luxury rooms. Anyone is welcomed to tour of her office during their initial consultation. Dr. Fulop-Goodling will conduct a comprehensive evaluation and discuss your concerns and the current treatment options available. Cosmetic Dentistry services are available to ensure you never have to hide your smile again. 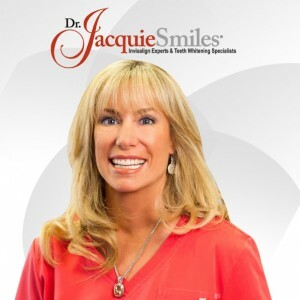 With countless treatment options, personalizing your experience and correcting those cosmetic ailments, Dr. Jacquie Smiles specializes in speedy enhancements. The broad range of treatments offered are safe, affordable, and effective. Nothing is stopping you from achieving your ultimate smile makeover!